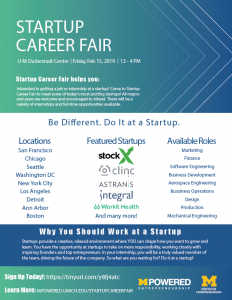 Interested in getting a job or internship at a startup? 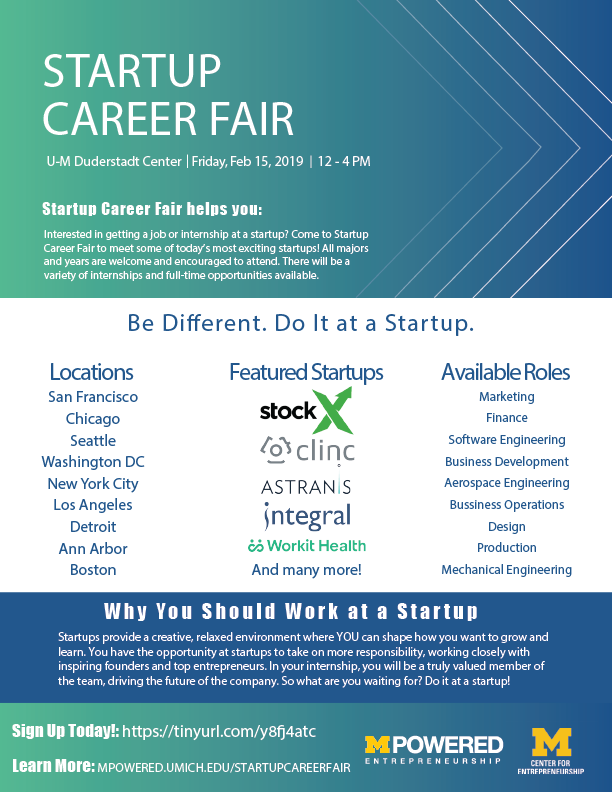 Come to Startup Career Fair to meet some of today's most exciting startups! All majors and years are welcome and encouraged to attend. There will be a variety of internship and full-time opportunities available.